Enroll Now And Get Instant Access To 3 Trading Systems Designed To Deliver Potentially Profitable Stock Picks To Your Inbox Every Day! Allowing you to pick and choose the 'best' opportunities for your risk tolerance and trading style! The MMTI Is For Extremely Conservative, Even LAZY Traders Who Do Not Want To Be In And Out Of The Market All Of The Time. The MMTI triggers when major market turns are most likely to occur creating a high expectancy trading opportunity. This system has produced a 200% return since inception. Yes! I am ready to reduce my risk and create positive expectancy in my stock and options investing. That's a total REAL value of $8,985. I have a full 50 days to evaluate the Market Timer Algorithm. If I'm not satisfied with the performance of the Market Timer Algorithm after the 50-day period, I can return my purchase for a 100% refund within 10 days following my 50-day evaluation period. All I need to do is attend each of the weekly coaching calls, and place at least 3 documented trades in an online virtual trading brokerage account each week to prove that I gave the Market Timer Algorithm a fair try. Copyright © 2007-2014 Stock and Options Training, LLC. All rights reserved. By using any offerings on our site, you agree to our Terms of Service. The content on any of Market Tamer websites, products, or communication is for educational purposes only. Nothing in its products, services, or communications shall be construed as a solicitation and/or recommendation to buy or sell a security. Trading stocks, options, and other securities involve risk. The risk of loss in trading securities can be substantial. The risk involved with trading stocks, options and other securities are not suitable for all investors. Prior to buying or selling an option, an investor must evaluate his/her own personal financial situation and consider all relevant risk factors. See: Characteristics and Risks of Standardized Options. 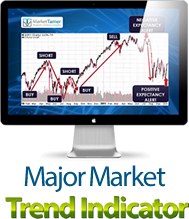 The www.MarketTamer.com educational training program and software services are provided to improve financial understanding.